NuCalm is comprised of four scientifically sequenced components that synergistically work on the GABAergic system to interrupt the adrenaline response and rapidly guide the brain to a deeply relaxed state. Apply a CES patch behind each ear and use microcurrent to facilitate relaxation. Fit headphones, turn on NuCalm software, and adjust volume. Put on eye mask or glasses. 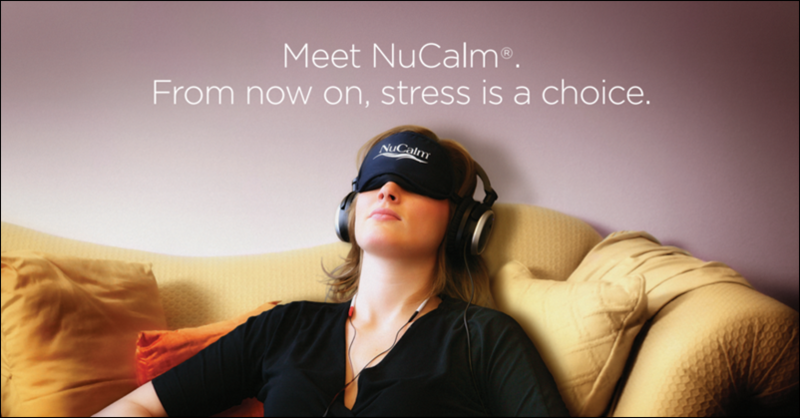 For more information on NuCalm click here.